The CF Series has been Demarini’s peak performance line since 2011. Last year, Demarini introduced the 2017 CF Insane as the first end loaded bat in the series. Designed for stronger hitters who can control a heavier swinging bat, the 2018 CF Insane looks to build on the success of last year’s inaugural model. The $450 price tag is among the highest on the market, but it is an intriguing option if you can afford it. Shop the DeMarini CF Insane here. The CF Insane features the same graphic layout as the CF Zen but with the colors flipped. 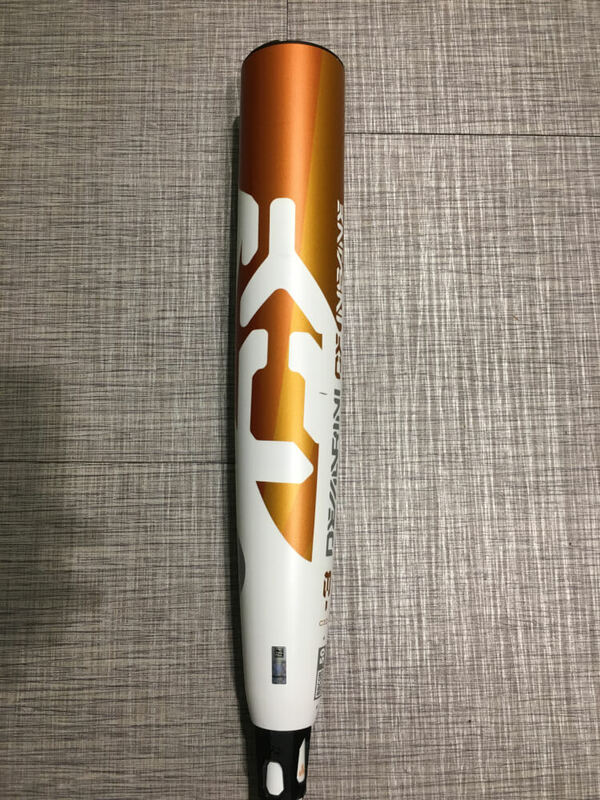 The matte white barrel on this bat has a fiery bronze-orange as the dominant color. This is complemented by the darker maroon. The handle is glossy white and provides a little shine. 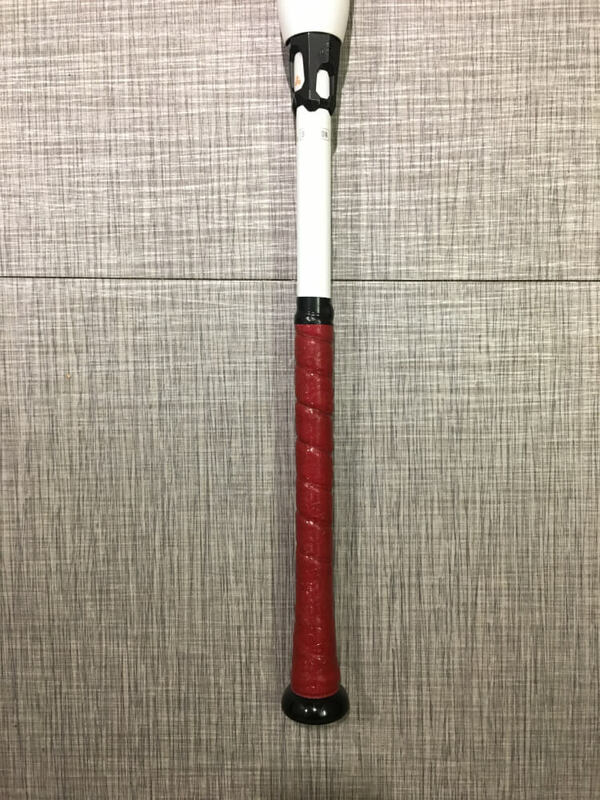 The grip tape is maroon and matches the barrel. 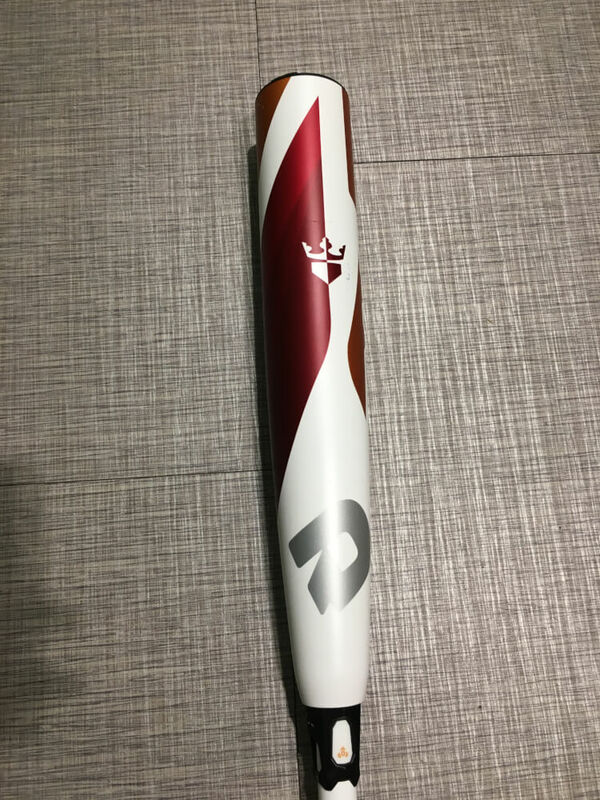 If you don’t like how the stock model looks or just want to change it up, you can get the CF Insane on Demarini’s custom builder for $580. 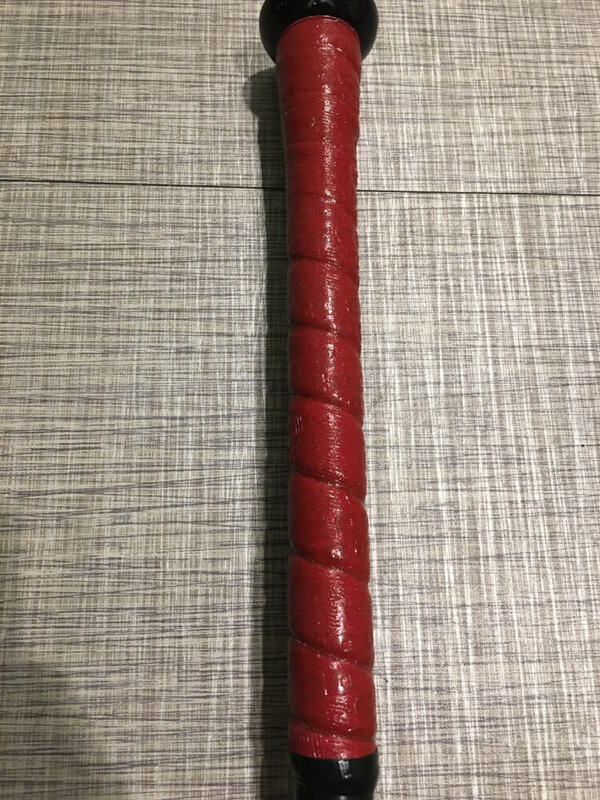 The grip on the Insane is one of the best stock grips on the market. This grip on this bat feels different than other bats on the market, mostly because it is very firm and on the thicker side. I liked this firmness because I felt an incredible amount of control despite a large barrel. The grip provides traction in a different way than most. Instead of deep indentations, the grip on the CF Insane creates friction with a pattern of slightly indented and raised ‘D’s’. The handle has a good taper into the knob. The knob is an ergonomic design that fits with your hand very well. 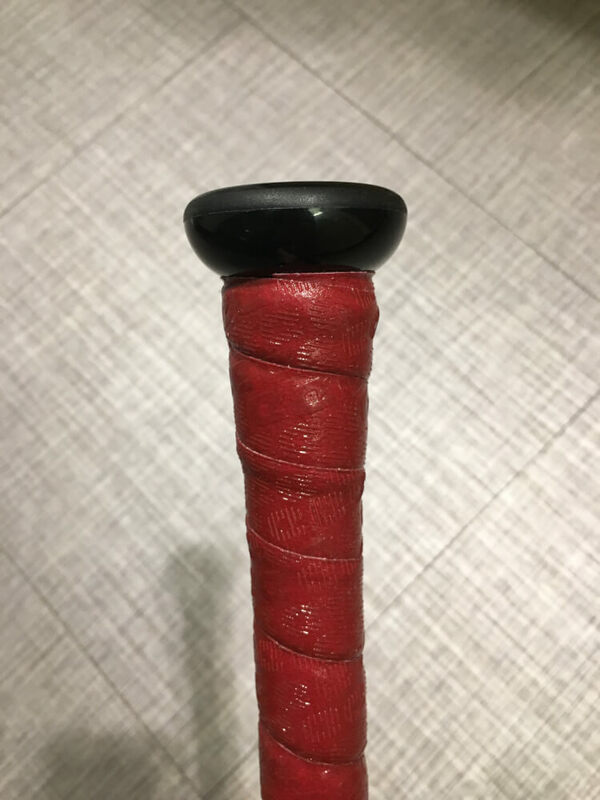 Demarini calls it the RCK knob, and while being really comfortable, it helps to prevent injury by eliminating excessive contact with your bottom hand. Overall, Demarini did everything they can to maximize grip and comfort while maintaining functionality. The Insane is the end loaded version of the 2018 CF Series. It had one of the highest swing weights of the bats that we tested. 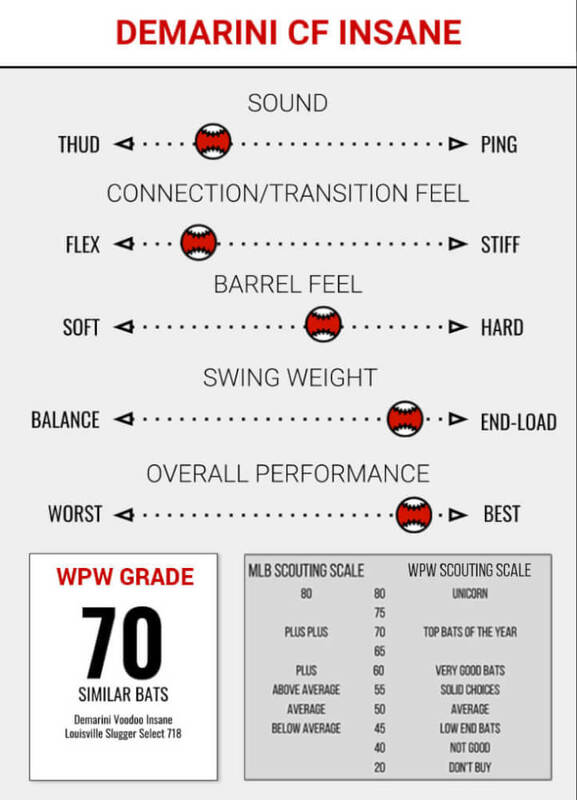 This makes it ideal for stronger hitters who can handle the extra barrel mass. The bat includes Demarini’s new 3Fusion endcap. While this endcap is designed to be as light as possible, it contributes to the end-loaded feel by allowing Demarini to place the weight precisely where they want it in the barrel. This feature makes the bat feel a little smoother. DeMarini is able to further tweak the feel by using a fully composite barrel, which is much easier to work with than aluminum alloy. 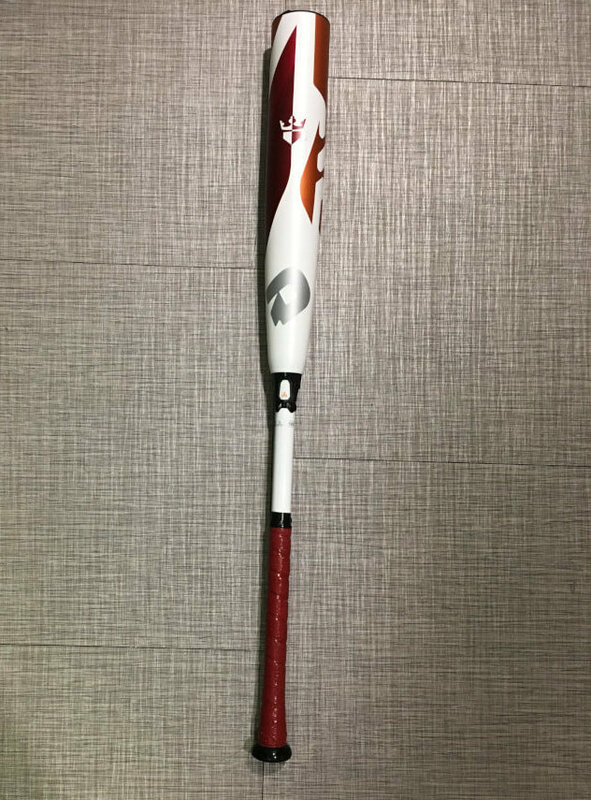 Because of the high swing weight, we wouldn’t recommend this bat for younger players that haven’t grown into their bodies yet. This bat is for the big boys only. The CF Insane’s barrel is made of Demarini’s Paraflex Composite and will need some breaking in. Paraflex Composite is one of the best in the business, and will allow this bat to have a huge sweet spot without any dead spots once ready. While it generates a great whipping action during the swing, this bat feels stiffer on contact than its brother, the CF Zen. This is expected because the more mass that is added to the barrel, the less effect a ball will have on its forward motion. The new 3Fusion handle did its job and limited vibration in our hands, but it’s tough to tell how much better this system is from last year’s because the CF series has always had low vibration. 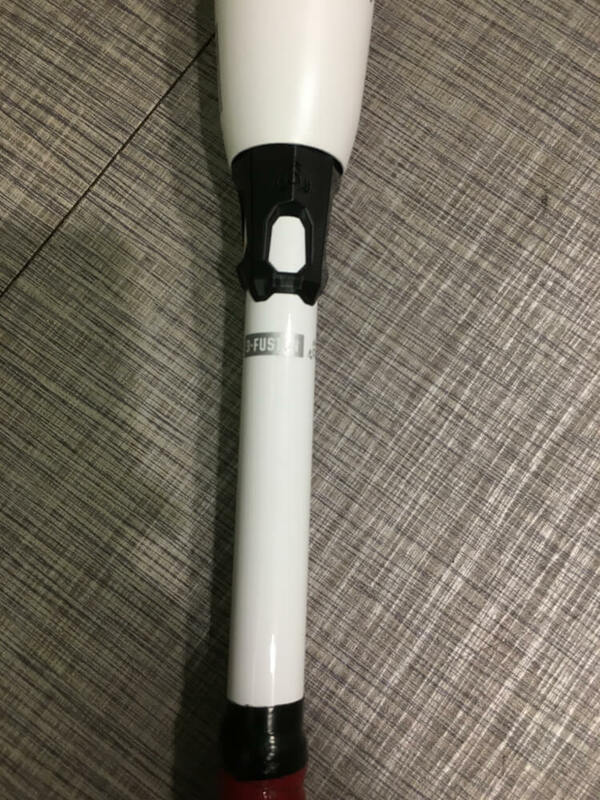 The CF Insane really impressed us and performed like the high end BBCOR bat that it is. It’s tough to compare the CF Insane to any other bat simply because there aren’t any other end loaded two-piece composites out there. For that reason, it’s kind of in a class of its own. The CF Insane performed incredibly well in our testing, and if you’re looking for an end loaded two-piece composite, this is literally the only way to go.